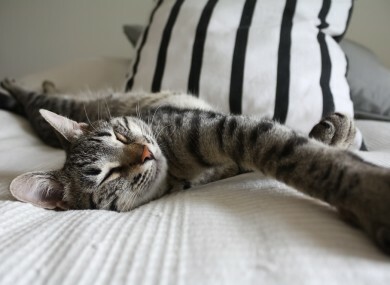 Poll: Should a pet sleep in your bed with you? CAT DNA FOUND during an archaeological dig in Egypt has revealed more about the ancient Egyptians’ love affair with their moggies. Some 10,000 years later, the cat and the dog are particularly popular house pets. But do you go so far as to leave a household pet sleep in or on your bed? Email “Poll: Should a pet sleep in your bed with you?”. Feedback on “Poll: Should a pet sleep in your bed with you?”.